Aside from seeing how our finished office refurbishments can help to positively influence a business, we also enjoy undertaking every step of the planning process, working with our client to design their perfect office space. At Oaktree Interiors, we have an expert team who specialise in working with you in order to produce a project management plan that keeps your business running smoothly. 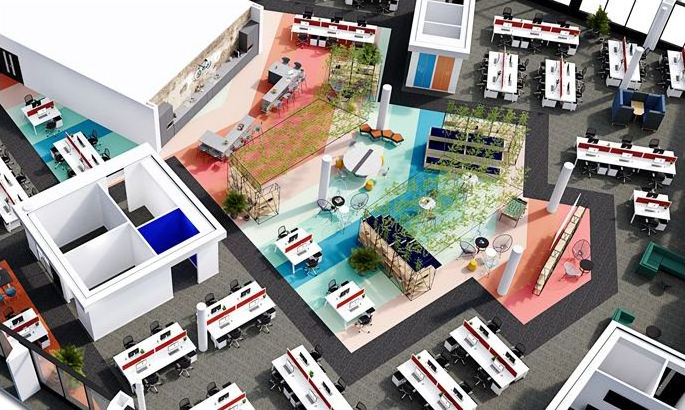 Our vast experience in designing, planning and building innovative office interiors for both large and small workspaces means we can complete the job without any unexpected problems. Planning all aspects of the work Making a detailed plan on the full extent of the work we undertake is essential if we are to prevent or reduce any unnecessary disruption to the client's business operations not to mention to be able to deliver their perfect workspace in the quickest time possible. Setting timescales and targets Setting a timescale for the work to be completed is an important factor in organising what type of work we can do, where and when. This will also help the client to arrange and plan how they can go about their day to day business at the same time. Identifying risks Effective forward planning will help in reducing the potential for any risks to manifest themselves. We will plan a strategy on how to do deal with them, should they occur and also an assessment on how they might relate to our overall project management plan. Oaktree Interiors, high quality project management, geared towards delivering the perfect office space for you! At Oaktree Interiors, all our work is carried out to a pre agreed plan and timescale. To find out how we can provide project management and transform your office interiors for the future please feel free to give Oaktree a call on 0845 474 3556.